An unusual and easy-to-prepare recipe to add colour to your cheeseboard. Peel and chop the onion. Mix with the dried tomatoes, the black olives, the basil leaves and a drizzle of olive oil. 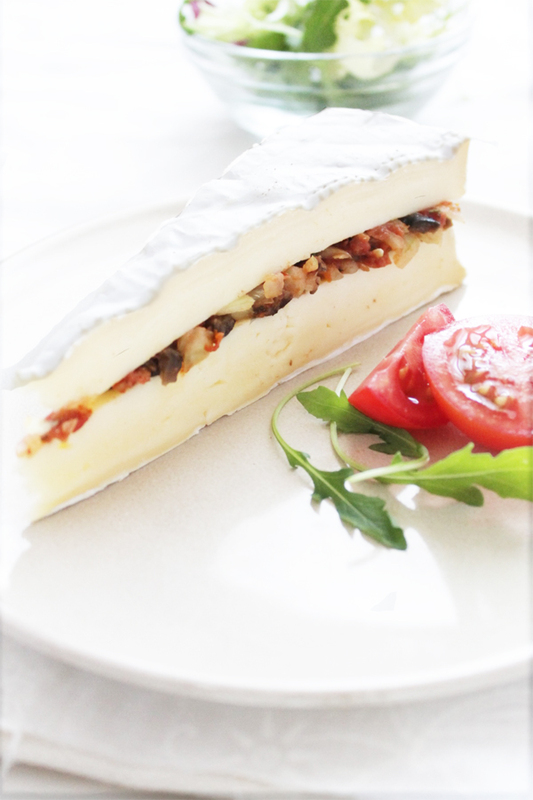 Cut the Brie ILE DE FRANCE® in two horizontally, place the filling on the lower half then replace the upper part. Slice and serve as an aperitif on a tray or with a small salad, seasoned with olive oil, balsamic vinegar, salt and pepper.